Through a partnership with OnlineDegree.com, students can earn course credits tuition-free and transfer them to select degree programs at Ashworth College. Ashworth College has partnered with the newest disruptive venture into affordable higher education: OnlineDegree.com. The website, whose launch has been covered by eLearningInside, "Inside Higher Ed", and Forbes", went online earlier this year to make online college-level courses accessible to everyone at zero tuition to students. 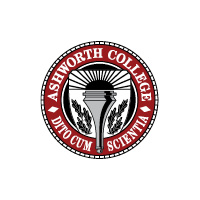 Ashworth College is a nationally-accredited online institution that provides flexible and affordable education to students located around the world. Areas of study include more than 125 career-focused programs in the high-demand fields of healthcare, technology, business, creative services, education, legal studies, and trades. Since its founding 30 years ago, more than 300,000 students have graduated from Ashworth College with diplomas, professional certificates, associate, bachelor’s and master’s degrees. In a 2017 survey done for DEAC, 95 percent of students and graduates of the school’s 20 most popular programs said they were satisfied with their studies and would recommend Ashworth College to a friend. For more information, visit http://www.ashworthcollege.edu. OnlineDegree.com is on mission to make college more affordable and accessible for everyone. They've created a simple and easy-to-use environment where anyone can take free online courses at their own pace and within the confines of their existing busy schedules. Completed courses could then receive credits at universities across the country. Explore the free courses to begin learning today at http://www.onlinedegree.com.